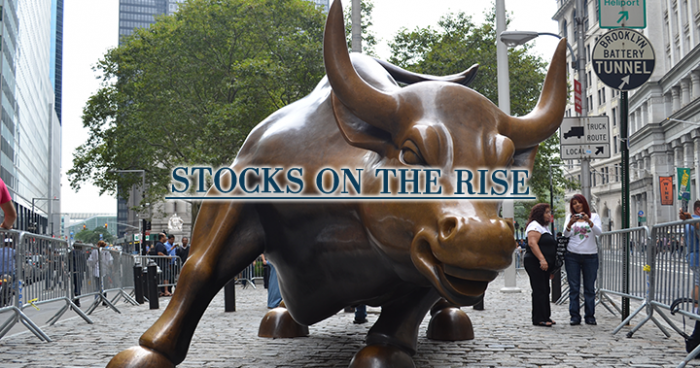 Legendary investor, Warren Buffet believes that American stock market is “on the cheap side” and he’s constantly pouring money into the market. How much did he invest in the last months? A whopping $20 billion. To understand his determination, it’s good to know that he spent $20 billion on the stock market, and doubled his stake in Apple this year, becoming one of the TOP5 investors in the world’s biggest tech company. He also believes that this might be a time to invest money, and as he wrote in Berkshire Hathaway’s annual letter, "Every decade or so, dark clouds will fill the economic skies, and they will briefly rain gold. When downpours of that sort occur, it's imperative that we rush outdoors carrying washtubs, not teaspoons.” Buffet knows what he’s saying: his company made a 19 percent annual gain since 1965. But there are other good signs too beside Warren’s words. 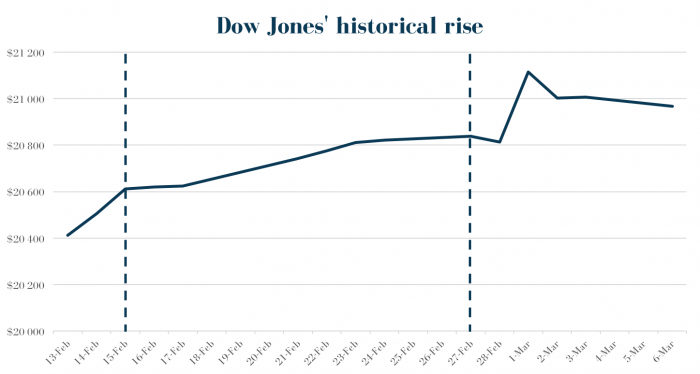 Since the beginning of February Dow Jones prices have been rising for 11 days continuously. This is something that hasn’t happened since 1992. 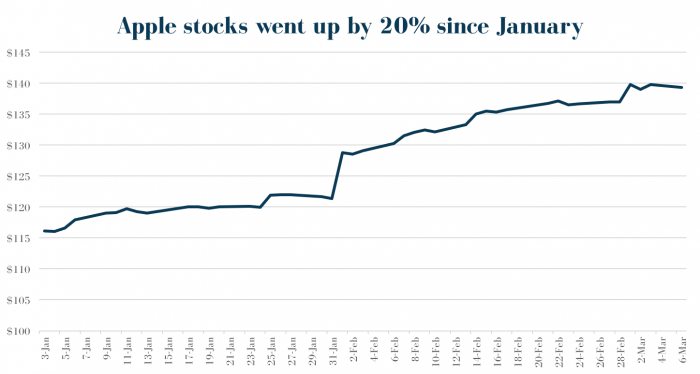 The rare raise broke on 27 February, but just days later prices jumped even higher, and they remained 5 percent higher than they had been at the beginning of February.